If you follow me on Twitter, you probably saw this coming.. Yes, a brushes haul! Not just any brushes though, possibly the prettiest brushes you ever did see. Spectrum collections continue to excel themselves with each collection they bring out, from mermaid inspired to candy coloured brushes. I feel as though they know me and my love for mermaids and unicorns too well! Resulting in me having to get my hands on every magical collection they release haha. 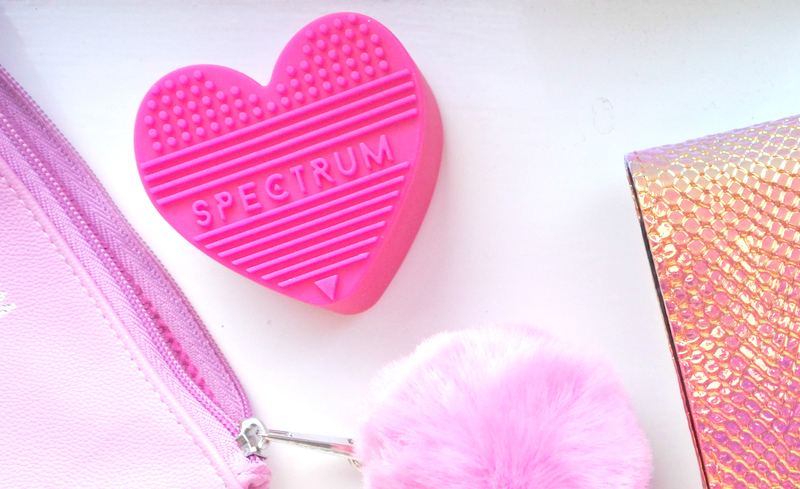 I did review the Glam Clam from Spectrum last year, which I absolutely adored and that's where my love for the brand started. The collections I have here my mum kindly bought for me for Christmas which I could not believe and was so grateful for! This post isn't short by the way, just to prepare you ha! Im not a makeup artist as I always say, I'm just slightly obsessed with buying makeup and makeup accessories! So for my mum to add to my (what was around 80+) makeup brush collection was amazing! Thankfully, I have a younger sister who is equally becoming more and more obsessed with makeup who has kindly taken some brushes off of my hands to make room for the new ones. So below I have two of the newest collections from Spectrum, the Siren Set and the Pom Pouch. The mermaid inspired collection comes equipped with 12 brushes, 5 face and 7 smaller brushes. The brushes are well made, sturdy and absolutely gorgeous to look at! I love these brushes because no two are the same, they all have their own unique holographic effect on the metal hardware which changes colour when it catches the light. This collection is perfect whether you're a makeup artist or just starting out with makeup, because the hairs on the brushes are so soft, making it easier to apply and blend. It's a very versatile set with so many different shaped and angled brushes, even if you're unsure on what to use them for, you can make it up as you go along. The Siren brush set comes with a roll to store the brushes in, or even just to travel with. The mermaid inspired detailing on the holder is the icing on the cake, it's beautiful and such good quality, the magnetic shell tab helps to keep them secure to ensure pristine condition. What more could we ask for?! The other collection I have is the Pom Pouch which is perfect for the girly girl as the faux leather pouch is pink with a Pom Pom attached to the zip! There are 3 face brushes and an angled fluffy eye brush. These brushes are all included in the Siren set but you can never have too many, can you?! These brushes are so well made, and the lilac handles with silver hardware really makes them stand out on my dressing table. I like to save some brushes for best rather than using the same ones everyday, so I think these will be my new faves! Finally, my mum got me a brush cleaner from Spectrum which, if you follow me on Twitter you will have noticed came in quite handy a few days ago! It makes brush cleaning so much easier I don't know how I haven't come across this sooner! The different textures helped to give my brushes the thorough deep clean that they were in desperate need of. That's everything from my brushes haul, sorry this post was longer than usual I just wanted to show all of the brushes properly because one photo just wouldn't have done them justice! Have you got any of the spectrum collections? Which do you prefer of these two? Spectrum brushes look gorgeous and amazing quality, need to get me hands on some. Love this blog post, the brushes look amazing! !